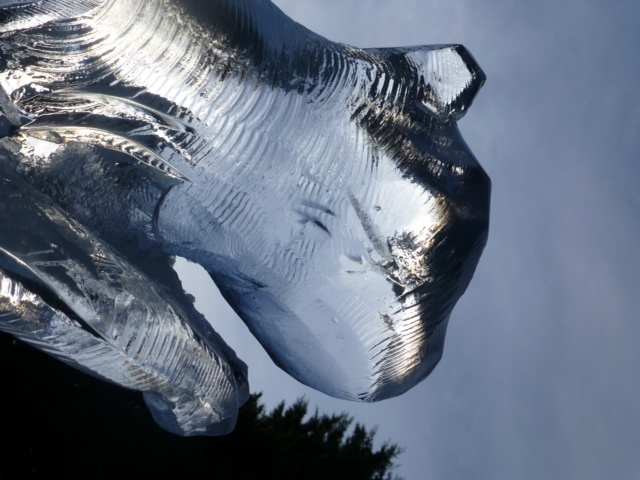 Southampton, Portsmouth – Ice Sculpture, Ice Luge, Ice Bar, Chocolate Fountain. With the Ice Agency team building and demonstrations, we can cater for up to 200 people and each package can be modified to suit your individual needs. 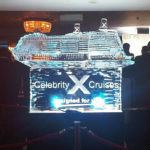 Location is not a problem and overseas team building is available. 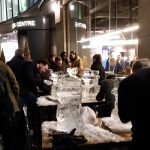 The ice carving demos that we provide include carving of a full size block of ice followed by some hands on work with students/children using chisels only. 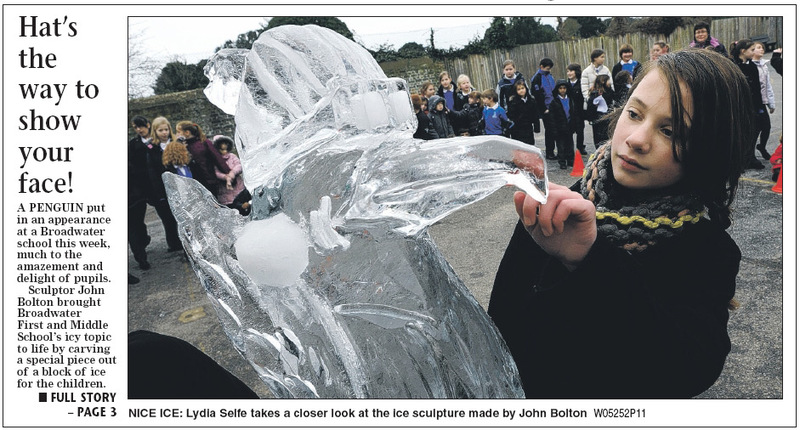 Many schools are doing a journey of ice program and if not then many cover ice either in science or sculpture as part of their art syllabus. 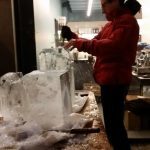 We can come into the school and put on a live ice carving demo that typically lasts between 1 and 2 hours but can be tailored to specific timings. 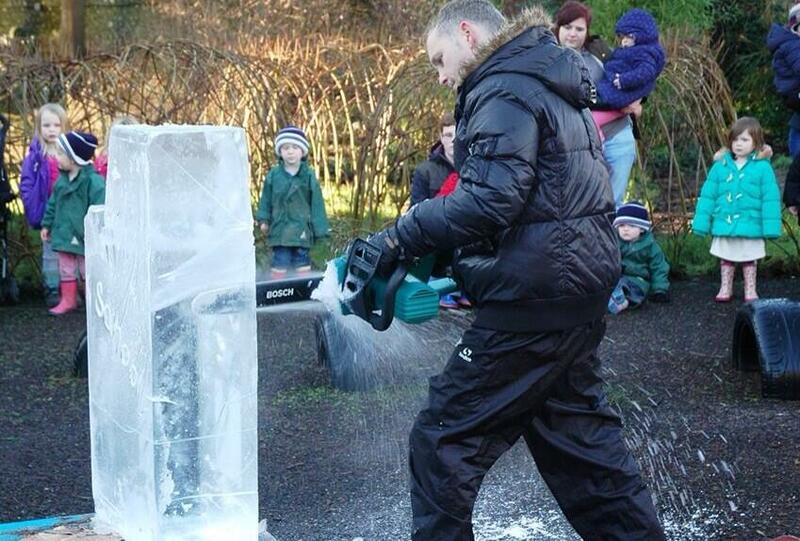 We can also supply dry ice for science demonstrations as well as larger pieces of ice to study melting times and effects of the elements on ice. 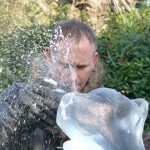 We have full public liability insurance, have been CRB checked and can provide risk assessment. 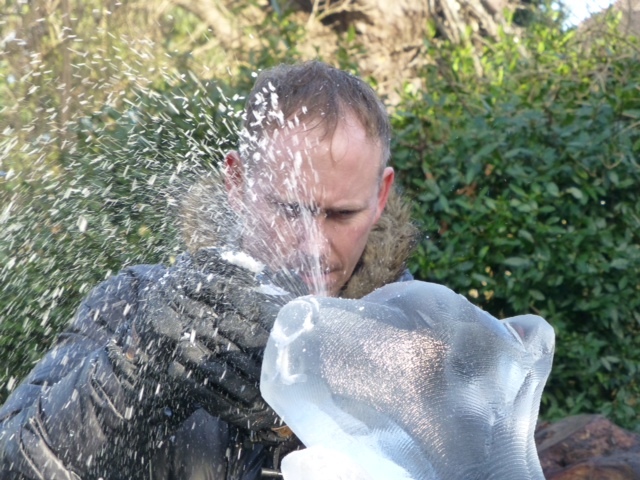 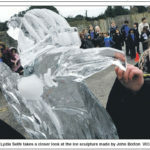 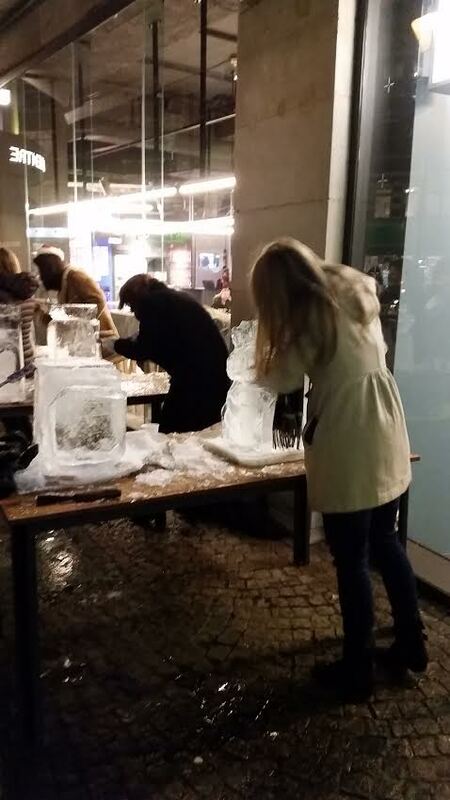 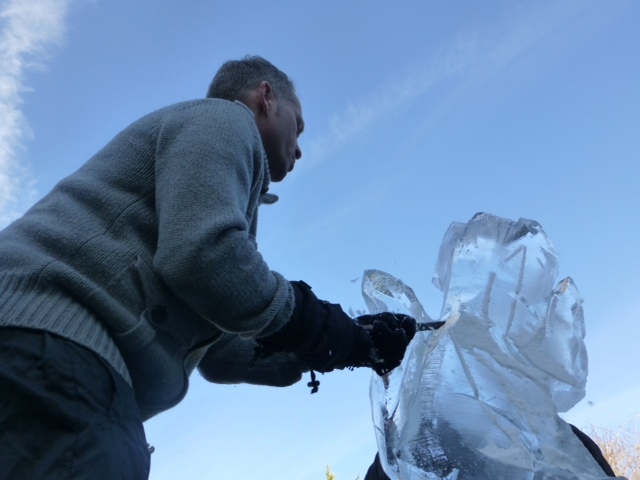 I have undertaken the ice carving with children/students with profound learning difficulties on a hands on basis. 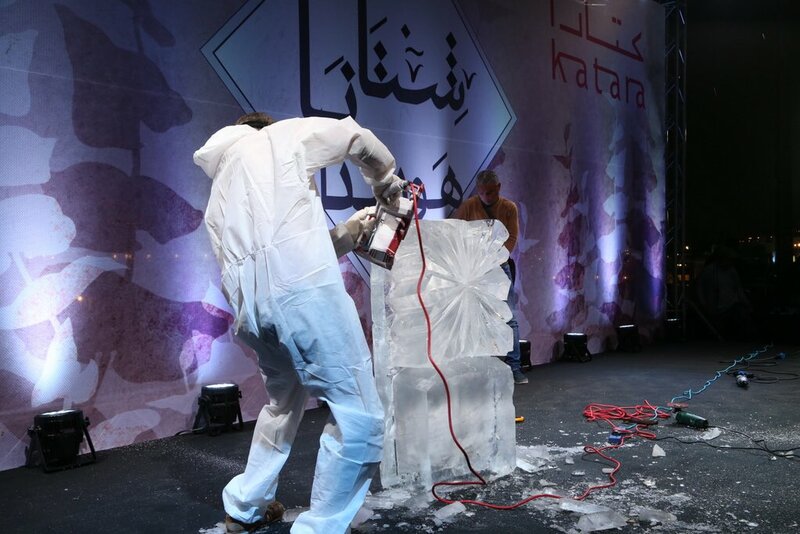 Ice Agency Shows start with several blocks of ice on a stage illuminated with spotlights. 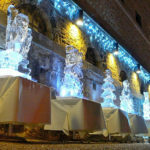 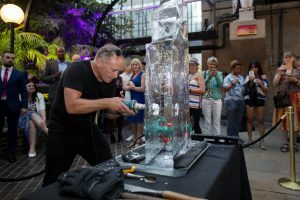 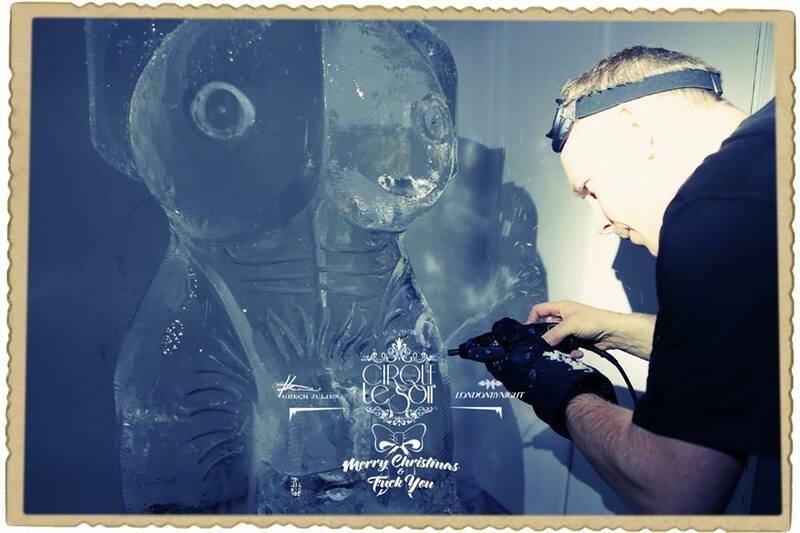 One or more ice carvers possibly in costume then begin carving to a custom soundtrack, using chains saws, other power tools and chisels, sending sprays of ice into the air to glisten in the spotlights.A live carving show will draw gasps from guests at your event and can really showcase your product launch. 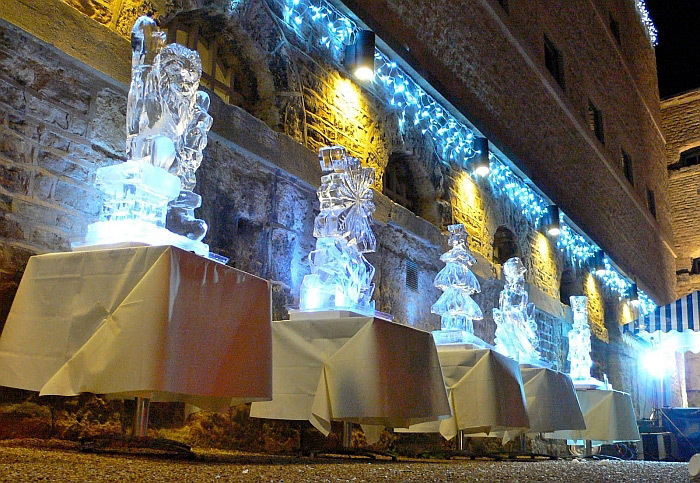 A live carving of swans or similar at a wedding will leave guests in awe. 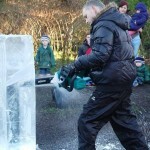 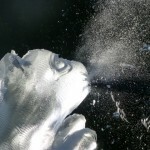 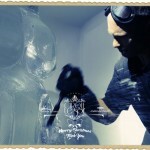 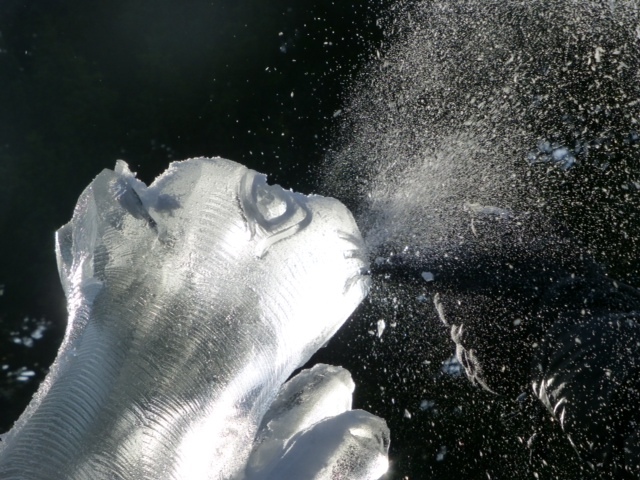 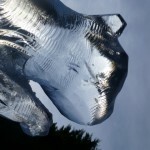 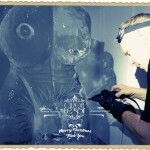 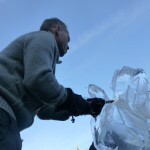 Often one of the ice carvers can be unveiled to be the CEO which draws a surprised reaction from the audience. 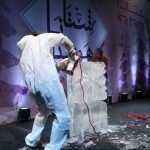 Ice Agency shows of this kind have been used for the launch of Xbox games, military airshows, Sainsbury’s party, Doha cultural event in Qatar, Elf cosmetics event in Iceland Global Travel Awards to name but a few. 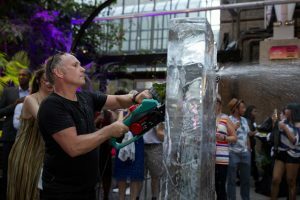 Live shows can be put on overseas. 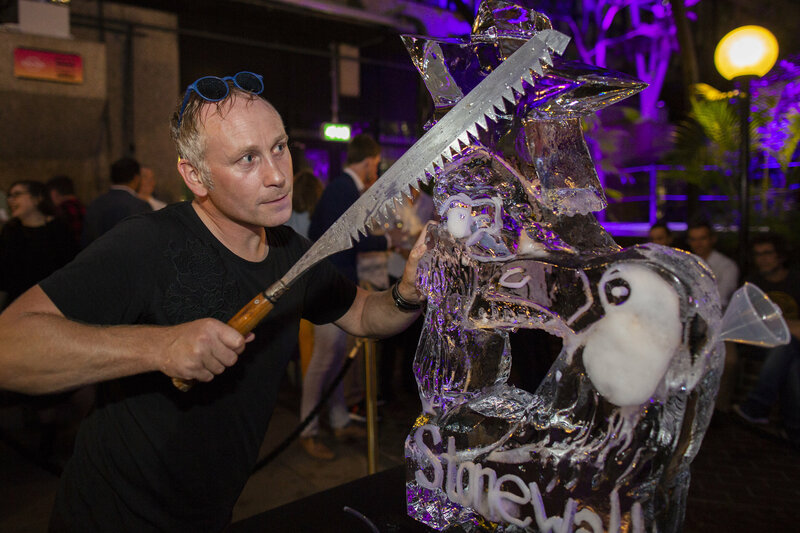 Just to say thank you very much for the AMAZING ice luge on Saturday – in my 6 consecutive years of having one for my bday, it was by far the best one yet!! 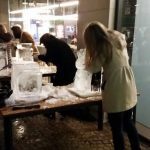 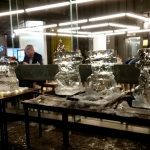 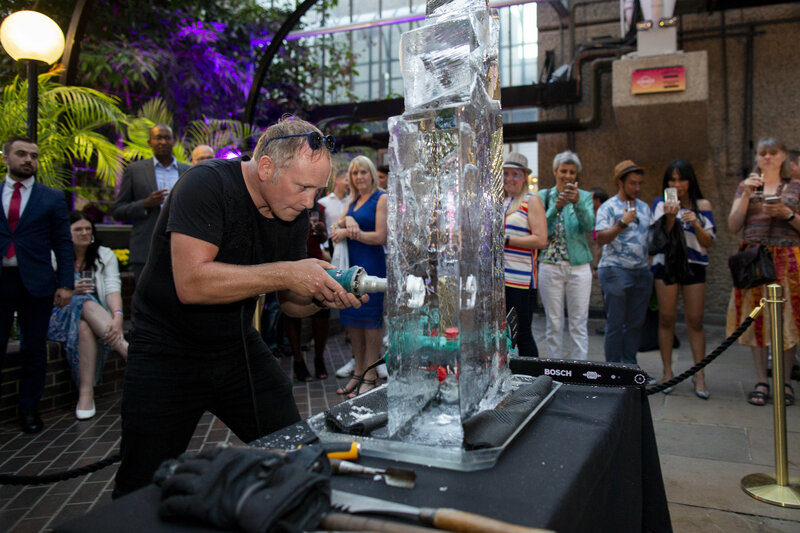 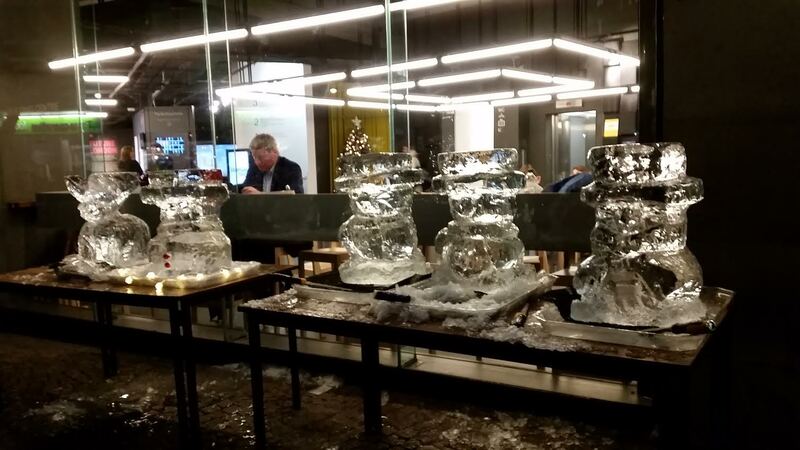 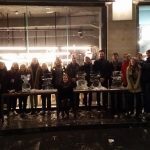 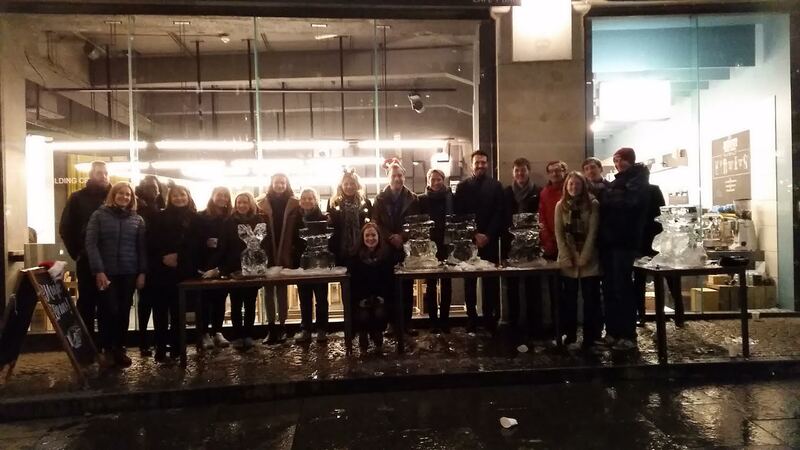 Wow, a big thanks to all at the ice agency, for such a fantastic service from start to finish, the ice sculpture was the talk of the night, some are still talking about it now. 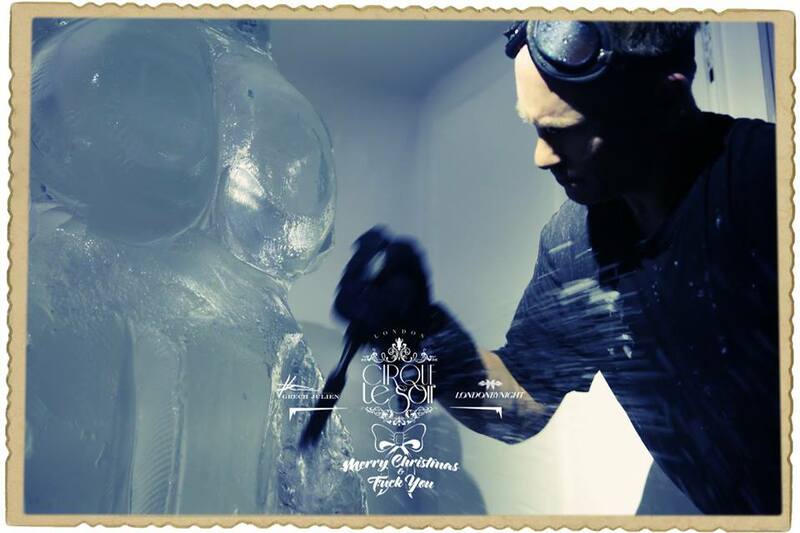 Just wanted to say a huge thanks for the Russian Ice Bar at our event on 20th October. 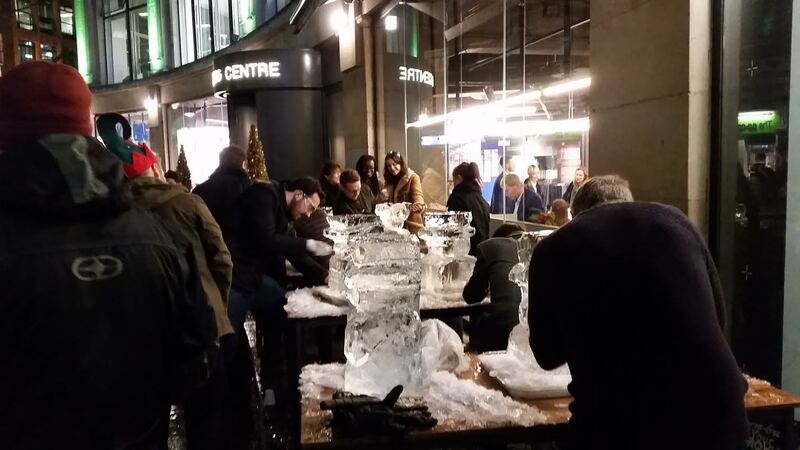 It went down really well and had queues at it all night. 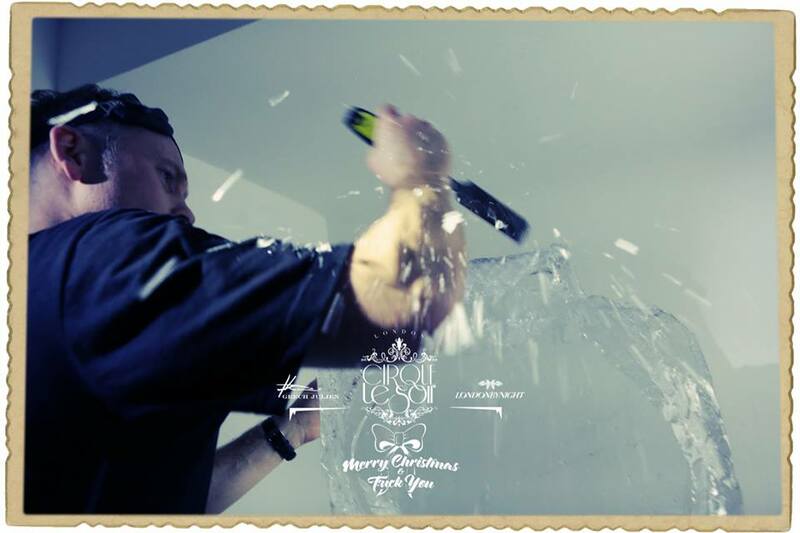 I would certainly recommend your company for the future. 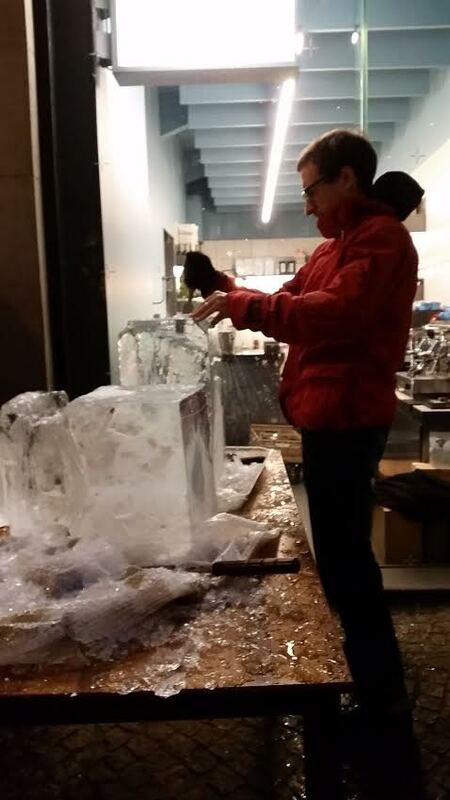 Many thanks for the excellent vodka luge of the Watchkeeper. 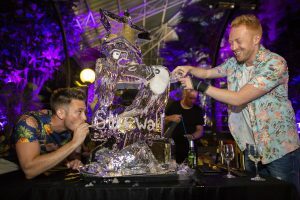 Everyone at the summer ball was impressed with the likeness and novelty of such a work of art.